👤 This documentation is intended for All Users. Topics are a collaborative way to organize dashboards, snippets, views, and alerts across the site. This allows users to quickly find and navigate to content related to a topic. Note: Topics are available on select plans. Site administrators can contact their Customer Success Manager for additional information. 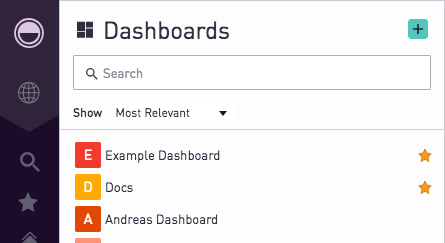 If topics are not enabled then please look at our documentation on Organizing Dashboards with tags. 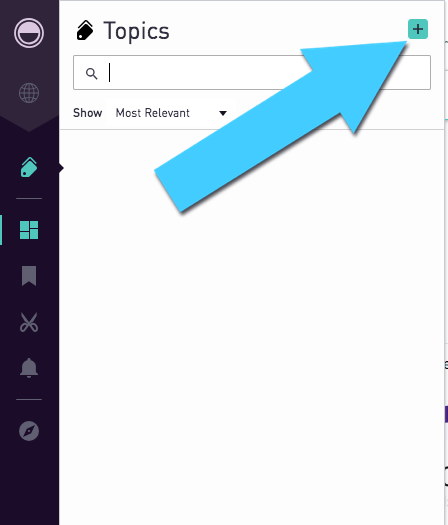 To create a new topic, click on Topics in the menu. Then, click the Add Topics button. Enter the new topic name and description. 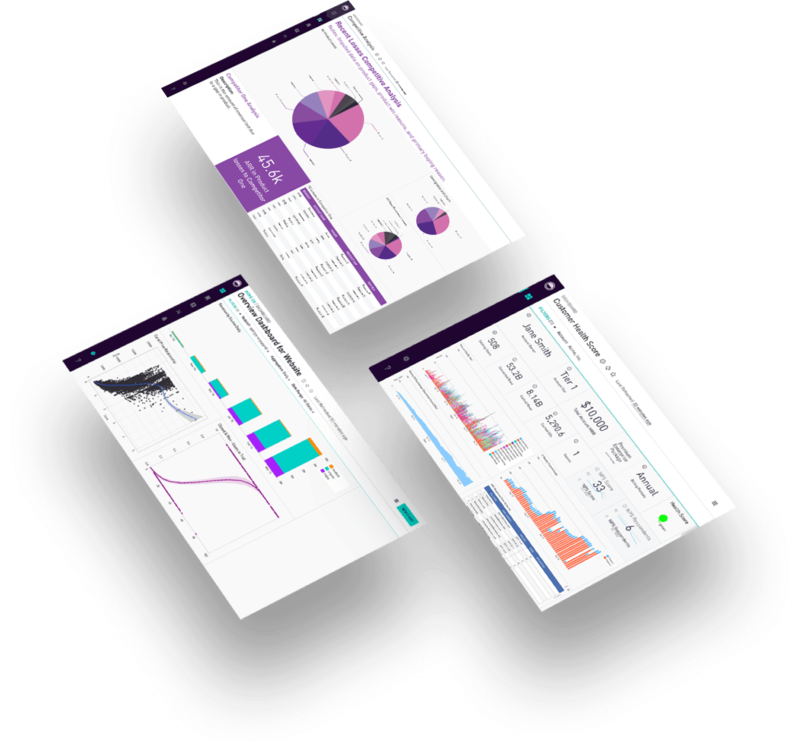 Dashboards, views, CSVs, snippets, alerts, and other topics can be linked. Note: Topic names are not case sensitive and must be unique. If there already exists a topic called "topic name", there cannot be a separate topic called "TOPIC Name". Dashboards, views, snippets, alerts and other topics can be added to a topic directly on the main topics page. To add a dashboard, view, snippet, alert or other topics, click on the Add button. Then, choose which type of object to add and click the green checkbox next to the specific object. 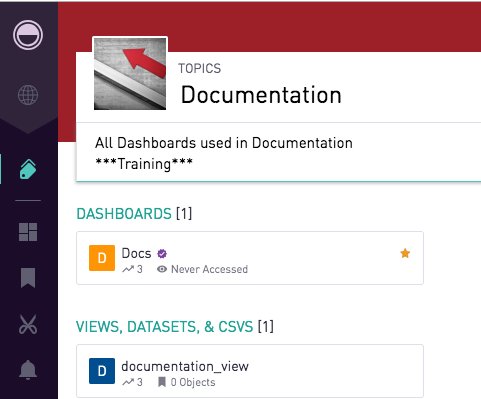 Topics can also be added directly from the dashboard, view, snippet, or alert page. To view and edit topics attached to an object, click the "Add to Topics" button on the object's page. Topics with green check marks are associated with the object. To remove the object from a topic, click the green checkmark beside the Topic name. Click the Topics icon on the left-hand navigation to display the list of topics available on the site. Hovering over a topic displays the description and owner of the topic, as well as how many times the topic has been viewed in the past 30 days and the number of subsequent topics linked. Click on a topic from the menu to display the list of relevant dashboards, views, snippets, and alerts that are associated with that topic. When searching topics, the sort can be adjusted by clicking on the dropdown under the search box. Most Relevant: The topics that were marked as official, starred and have the most usage/views will be sorted first. Recently Accessed: The topics that were most recently viewed will be sorted first. Recently Updated: The topics that were most recently update will be sorted first. Admins have the ability to mark objects as Official. To make a Dashboard official, navigate to the object's Preferences. Then, toggle on the Official Badge. Note: For customers with Role-Based Access Control (RBAC) enabled, by default both Admins and Analysts have the ability to mark objects as Official. This can be changed in Permissions. 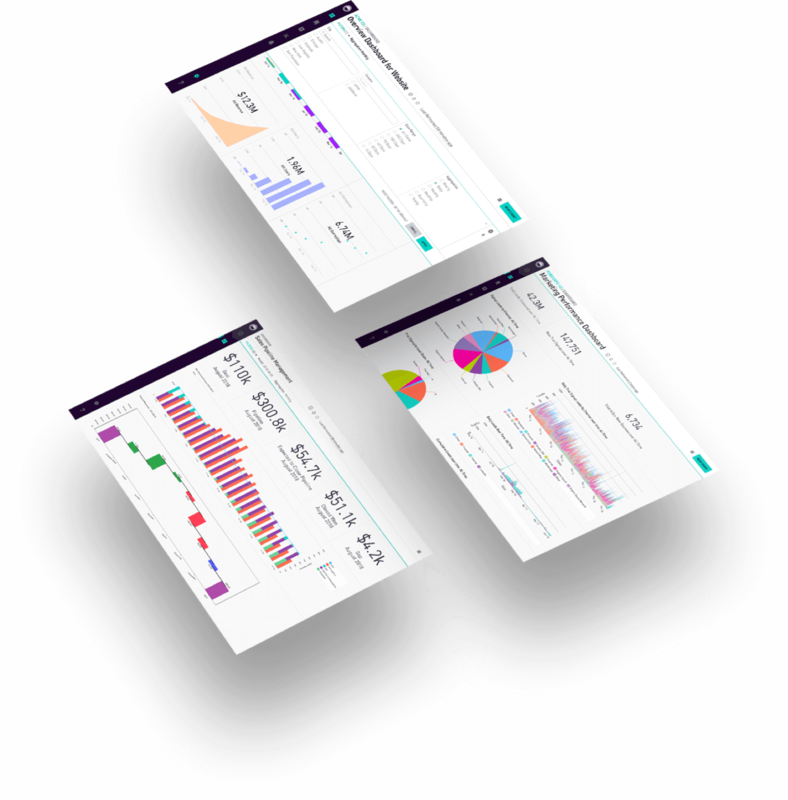 Starring dashboards allow dashboards that are particularly important to float to the top of the Dashboards menu list. 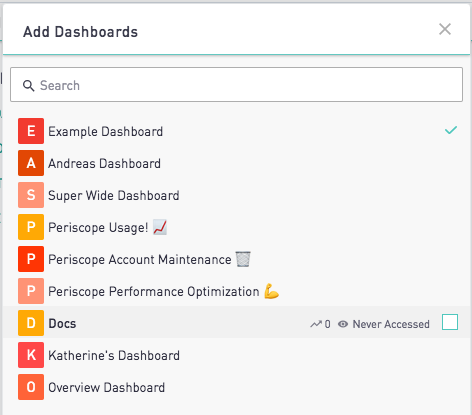 As this is a user-specific feature, starred dashboards will only be viewable within a user-specific view. 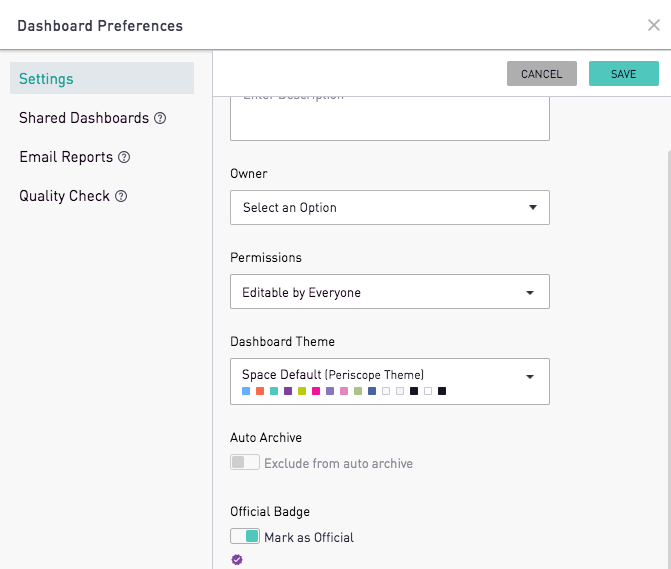 To star a dashboard, first select the dashboard you want to mark as a favorite. Then, click on the star on the top right. The dashboards that are starred are grouped together near the top in the Dashboard menu.